The market seems to be inadequately prepared for a rapid loss of exports. The first U.S. sanctions have been reimposed on Iran with little sign of either side softening its position. Curbs on oil exports will follow in early November and the effect will be bigger and swifter than last time around. Oil forecasters don't seem to have grasped that yet. There's no doubt that President Donald Trump will be tougher on Iran than Barack Obama was, with no gradual ratcheting-up of pressure. Importers are expected to have tapered off oil purchases by Nov. 5, when the curbs come into effect. Any waivers granted to buyers will still require much bigger cuts than they did last time, when a 20 percent reduction every six months was enough to win exemption from retaliation. And this time, Iran's exports of condensates, a light form of crude extracted from gas fields, will be covered by the sanctions. It doesn't matter that European governments oppose Trump's withdrawal from the Iran nuclear deal. Politicians and bureaucrats may work on "the continuation of Iran's exports of oil and gas," but it's companies, not governments, that buy Iran's oil. The threat of exclusion from the U.S. market and banking system is enough to stop them buying it, international shipping companies from moving it and insurers from covering that trade. 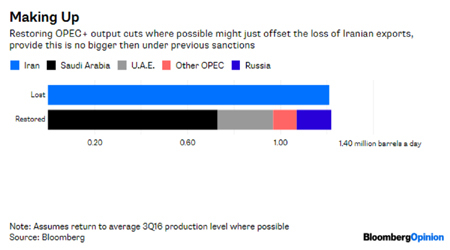 So what would the loss of Iranian oil exports look like? 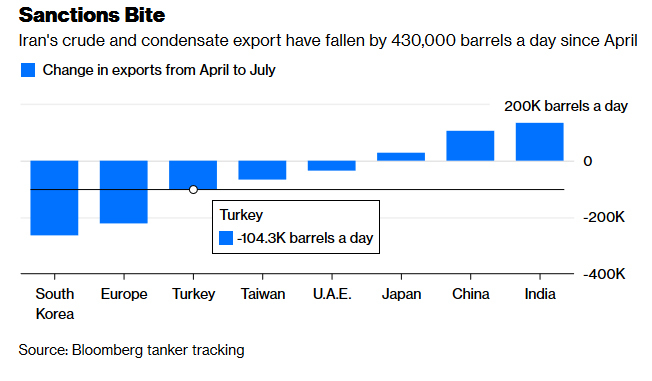 In July, crude and condensate exports were already down by 430,000 barrels a day, or 15 percent, from their levels in April, the month before Trump announced the start of the sanctions process – and the curbs haven't even come into effect yet. Royal Dutch Shell Plc and Total SA have stopped buying . Other European refiners will surely follow. By July, EU crude imports from Iran were down by around 220,000 barrels, or 41 percent, from April. Don't be surprised to see them drop to zero by November. Turkey shows a similar split between politicians and companies. While Economy Minister Nihat Zeybekci says U.S. sanctions aren't binding , imports of Iranian crude by Tupras Turkiye Petrol Rafinerileri AS are down 45 percent from April. In Asia, Iran's biggest market, South Korea has stopped buying both crude and condensate since late June. 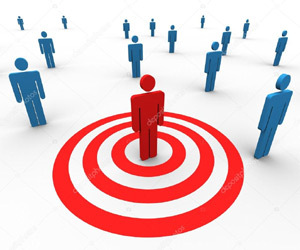 This is critical, because the Koreans are the top buyers of its condensate, accounting for more than 50 percent of shipments over the 12 months through June. Condensate deliveries to the United Arab Emirates also appear to have stalled: The last two shipments are still waiting to discharge, and Emirates National Oil Co., the Dubai-based buyer, has been sourcing supplies from places as distant as Algeria, Equatorial Guinea , the U.S. and the Russian Arctic. Japan won't defy the U.S., either. Its imports of Iranian crude plunged under the Obama sanctions and rebounded only modestly when they were relaxed in 2016. Although officials are still talking to their U.S. counterparts, companies don't expect to receive waivers and imports could fall to zero before November. That leaves India and China. Neither has cut purchases yet – indeed, India has boosted them, with much of the extra apparently going into storage at Mangalore. This may be temporary, though, if refiners are building stockpiles ahead of anticipated shortages. Hindustan Petroleum Corp. is unlikely to buy any more Iranian oil until India gets a waiver from the U.S., and the oil ministry has asked refiners to tread carefully. Indian officials still hope for at least partial relief, arguing that cutting imports to zero isn't feasible. 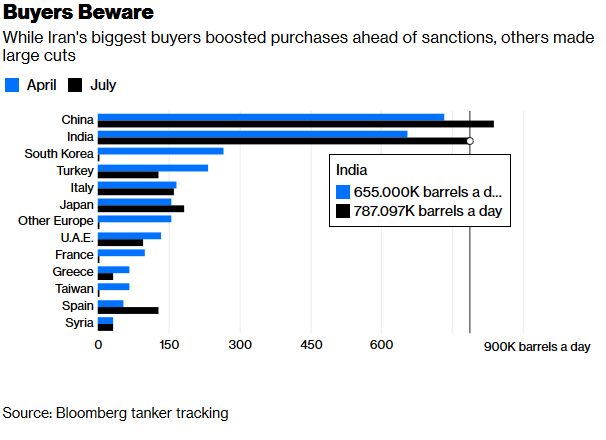 It's possible to imagine an arrangement in which India could buy a reduced volume of Iranian oil in return for a pledge to take more from the U.S. A halving of its purchases from Iran is possible, and might be enough to secure an initial waiver. 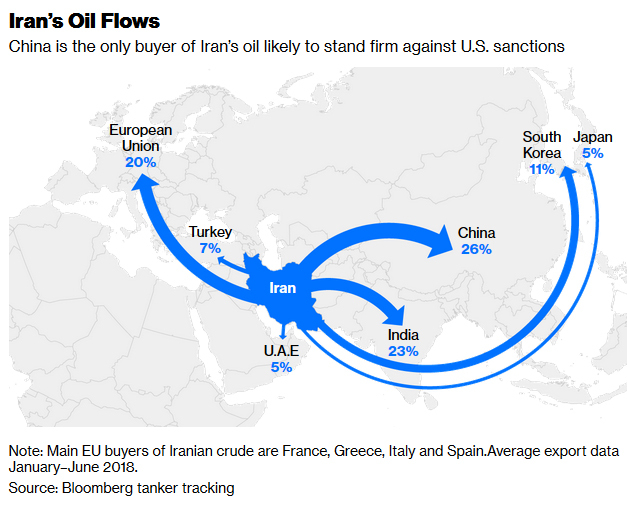 China, seen by some as stepping in to mop up Iranian crude shunned elsewhere, has said that while it won't cut purchases , it won't boost them either. July shipments of crude and condensate were up by 105,000 barrels a day, or 14 percent, compared with April, but they may decline now that U.S. crude has been removed from a list of good targeted by Chinese tariffs . Where does all this leave us? Under Obama, Iran's crude and condensate exports fell by around 1.2 million barrels a day over a period of about two years. Under his successor it looks like the decline will be bigger and faster, even without the political support of U.S. allies. It's easy to see another million barrels a day disappearing by November on top of the 430,000 barrels already lost. A halt in shipments to Europe, the U.A.E. and Japan, and a halving of flows to India, would reduce Iranian exports by almost 1.5 million barrels a day over six months. The market needs to get its head around this. – Sam Dodge assisted with graphics. Editor's Note: This commentary was originally published by Bloomberg on Aug. 12, 2018. Petroleumworld reprint this article in the interest of our readers and does not necessarily reflect the opinion of Petroleumworld and its owners.